Wild Goose have put on some fantastic food events over the last year. 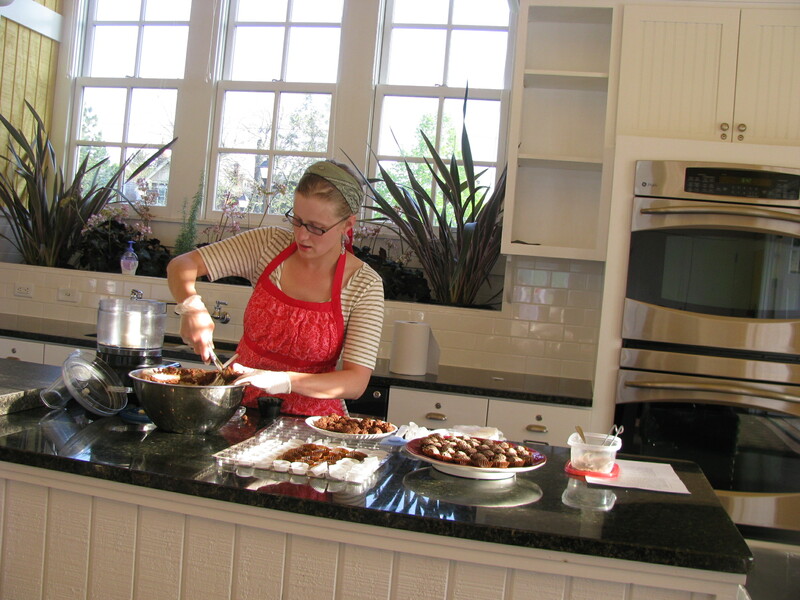 As well as their monthly ‘too many cooks’ series and regular cooking classes they hosted the phenoms of bacon camp and beer camp, even organizing a parade for the latter. 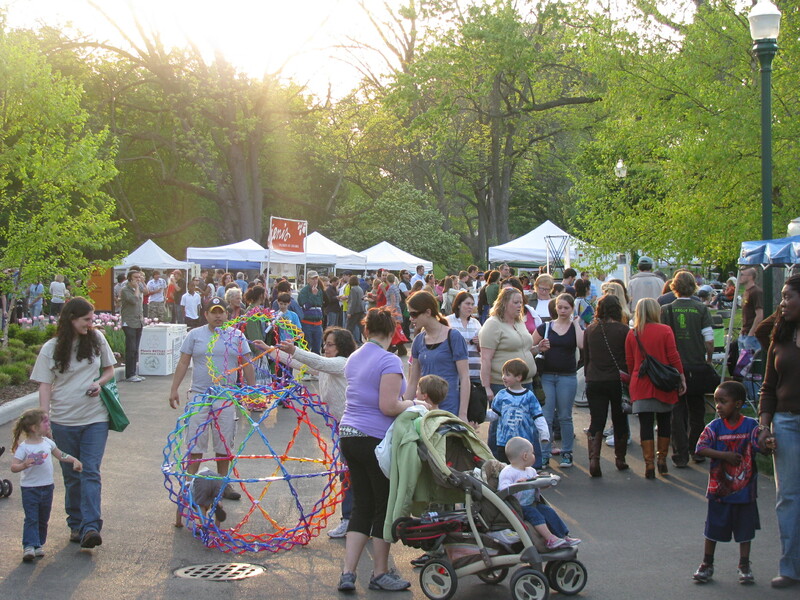 Asparafest may have been the most enjoyable yet: a celebration of local, seasonal foods, a great crowd and a showing of what some of Columbus’s adventurous, creative and talented home cooks can produce. There was an impressive array of dishes, I think at least 12 and the judges with the unenviable task of having to decide on a winner were Trisha Wheeler fromEdible Columbus, Todd Mills from Local Matters and Lisa Dillman aka Restaurant Widow. Above is my plate loaded with samples of each entry. They included stuffed mushrooms, soup, pickles, ice cream, pizza, quinoa salad, salmon tart, bacon and onion tart, bruschetta, orzo salad and asparagus ceviche. 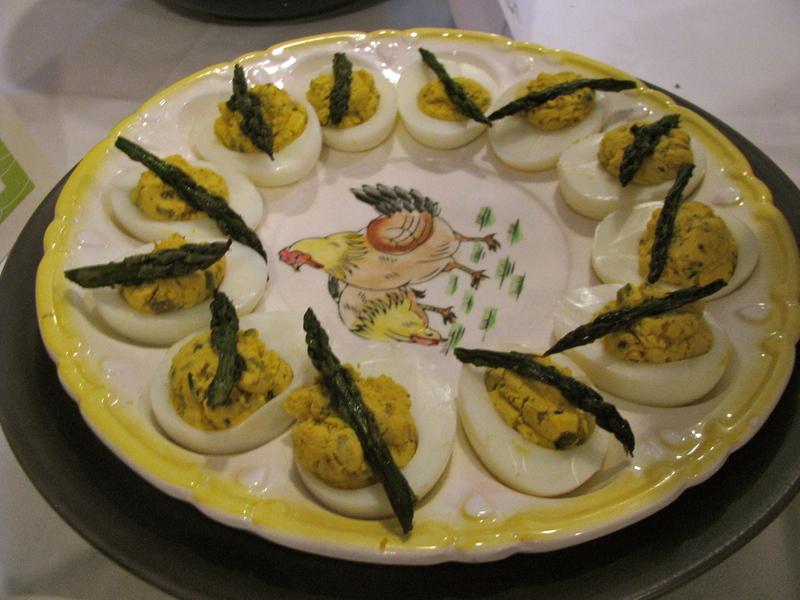 Rachel Tayse wins the unofficial award for most local with her home raised deviled eggs, garlic and herbs. Only the asparagus was purchased. The judges winning dish was a flavor packed bruschetta with honey caramelized bacon, cheese and a balsamic reduction, but my favorite was the runner up, the asparagus ice cream made by Bear and Colleen. 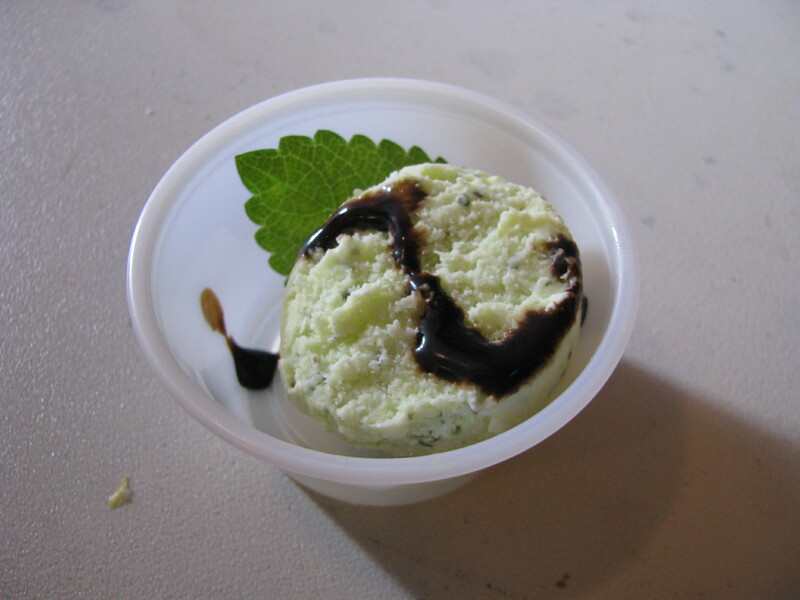 I may be biased, not just because I love ice cream, but because they used my lemon balm. I had a sneak preview taste yesterday during which I was able to get over the initial ‘asparagus flavor ice cream???!! !’ reaction and that probably helped too. Of course, this was a ‘fest’ so as well as food, there was an art exhibit and entertainment including asparagus themed music. Andy Anderson did an amazing job of thanking the sponsors (Edible, North Star and Local Matters) with a clever and funny song that I wish I had on video. But the main event was Asparagus the movie: Stalking the American life. It was a charming, touching film with lots of laughs, but the story it told was at heart depressing. 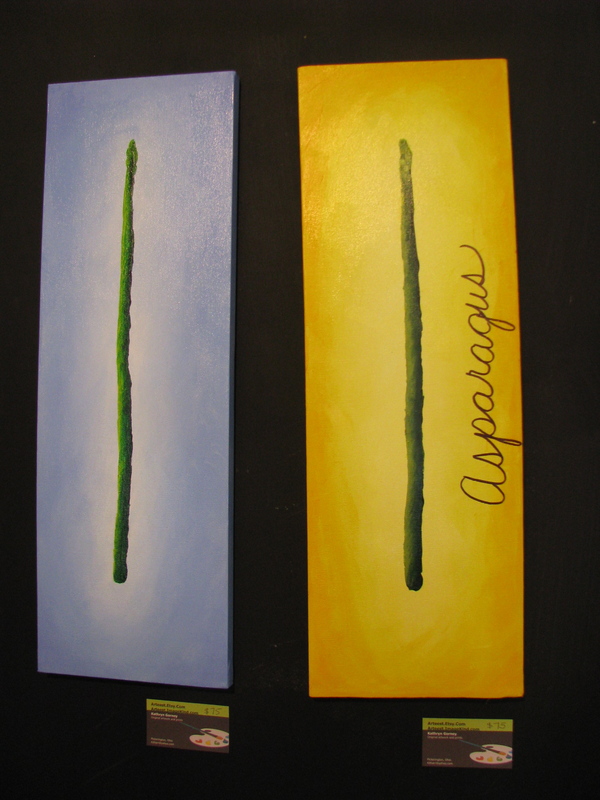 It was the story of the decline of the Michigan asparagus industry due to unfair competition from Mexico and Peru. The Michigan farmers are collateral victims from the war on drugs as the US government subsidizes Peru to grow asparagus as a substitute crop to cocaine. 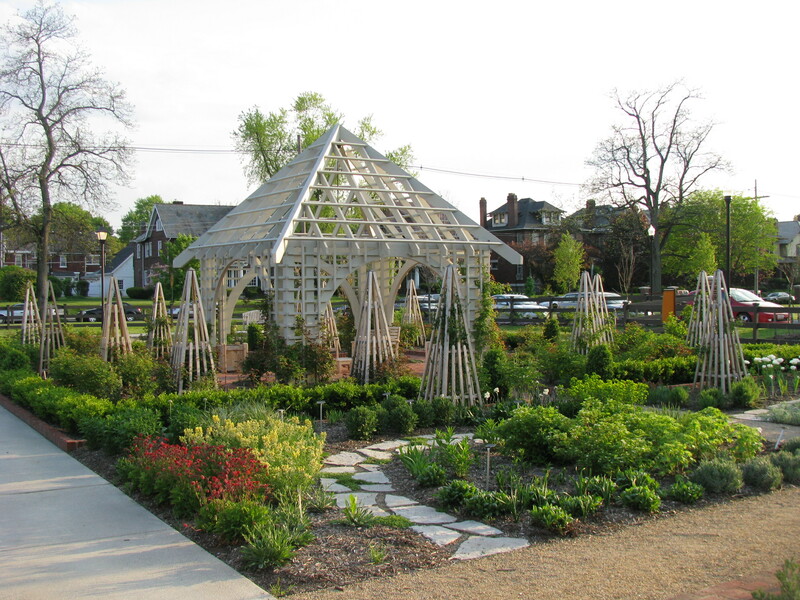 The film also showed us the pride of a community that dubbed themselves the world capital of asparagus, ‘our tips are tops,’ and their engagement in the fight for the survival of the industry. You can watch a six minute trailer for the film on the film’s website. Sadly, I think you have to watch the whole film for a taste of seventies disco asparagus style ‘do the stalk.’ After the movie we were treated to a interesting Q&A with the directors Anne de Mare and Kirsten Kelly and had an update on recent developments. 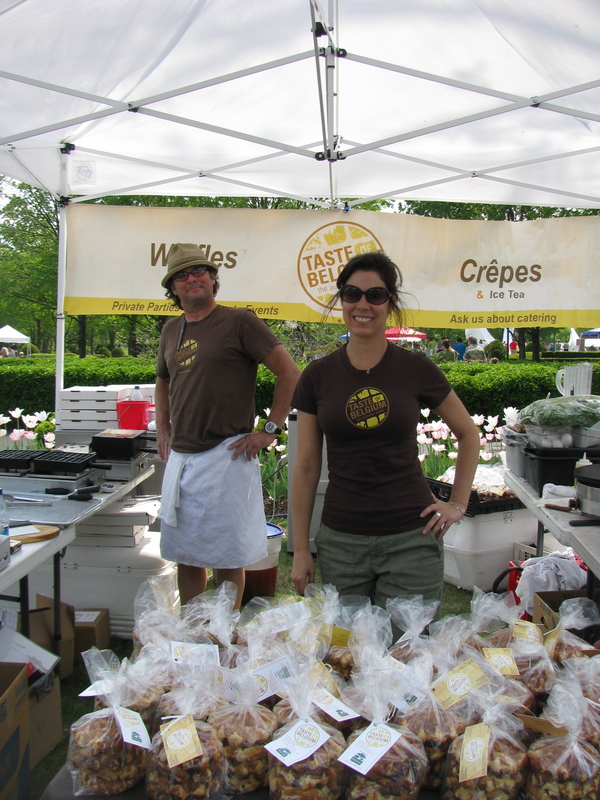 Thanks to Wild Goose Creative for putting on a fun, educational and delicious event. More photos on flickr. 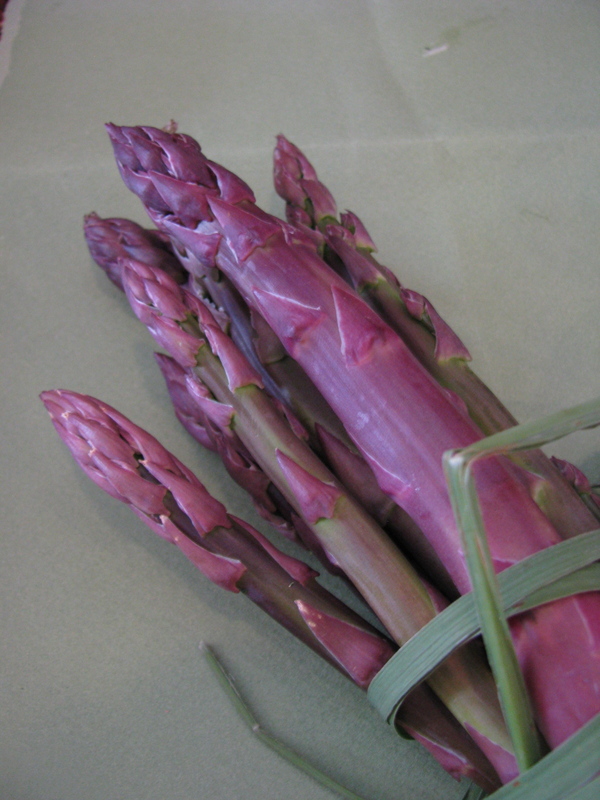 More information about all things asparagus. 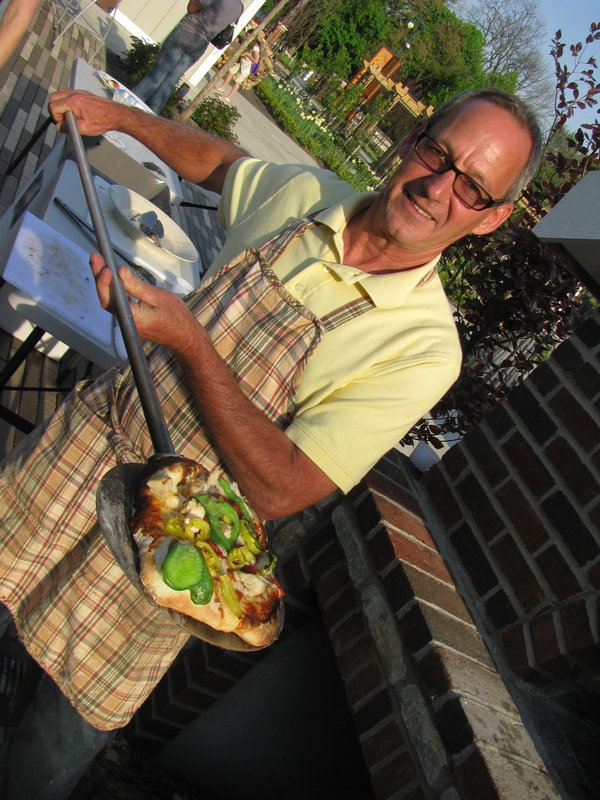 We had been asked by Johnny di Loretto to suggest a good venue for a Cinco de Mayo spot on Fox 28’s Good Day Columbus. We did a show with him in the fall about taco trucks and had a lot of fun. We suggested the colorful bakery Otro Rollo on Sullivant Avenue, one of the places we discovered during our taco truck research that we have featured on alt.eats. 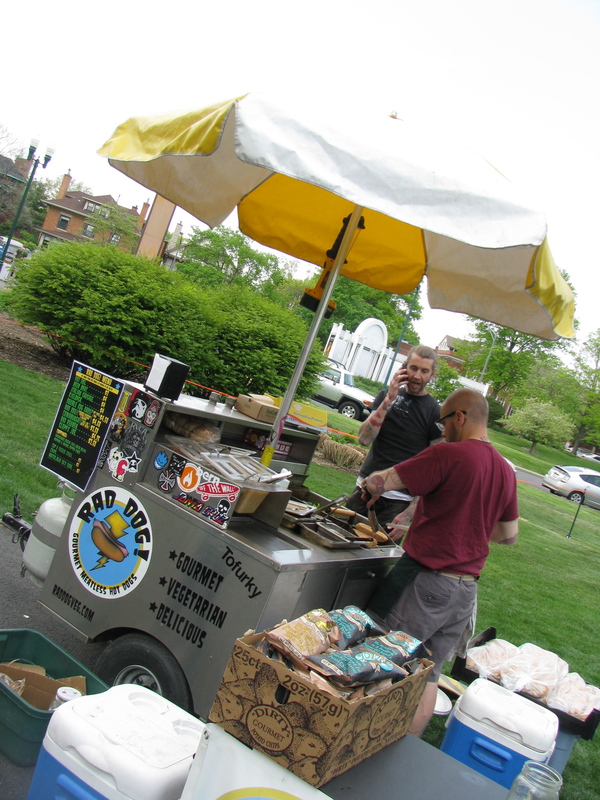 Otro Rollo also has a taco truck, and they supply many Mexican grocery stores and taco trucks with bread and pastries. 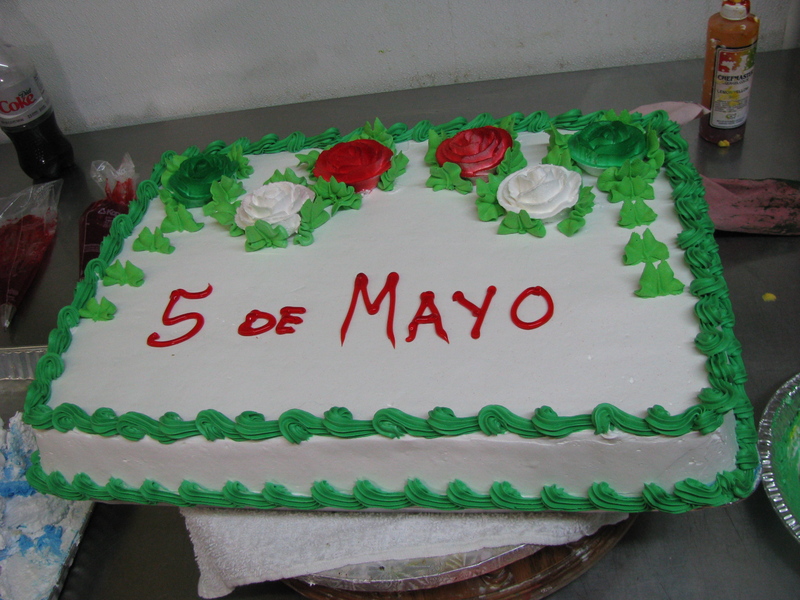 Cinco de Mayo is a Mexican holiday that originated in Puebla and celebrates the victory of the Mexican militia over the French. It is not a national holiday in Mexico but in the States it has become a celebration of Mexican heritage, and like St Patrick’s Day, a day for beer promotions and drinking. When we first discussed the idea with Otro Rollo they seemed fairly nonplussed, but by the end of filming they had fully embraced their 15 minutes of fame, were taking photos of the proceedings, and had baked Johnny a special Fox 28 tres leches cake. Tres leches cake is sponge cake that is filled with fruit and cream and soaked in a mixture of three different milks (whole milk , evaporated milk and sweetened condensed milk). 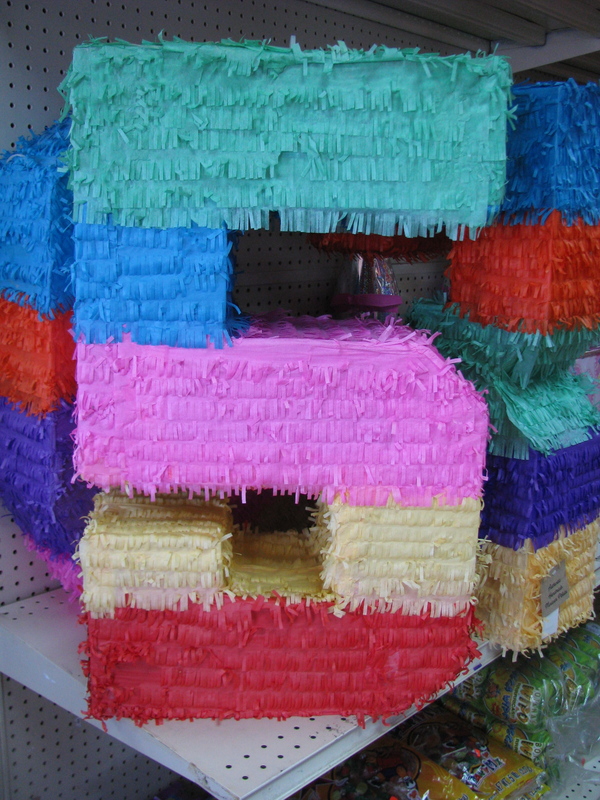 Decorations are generally exuberant and it is popular for weddings and other celebrations. I have been to Otro Rollo many times but I had never been behind the scenes. It was fun to spend time in the kitchen watching them making telera the bread that is used for tortas (Mexican sandwiches). Balls of dough are rolled into ovals and given a second rising. They are then rolled out and divided into three sections. 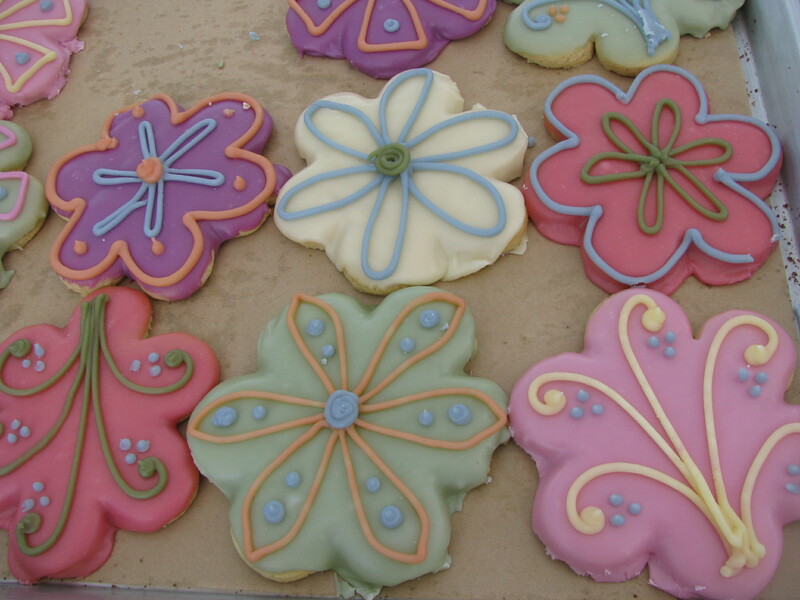 We were impressed with the bakers’ speed and consistency. 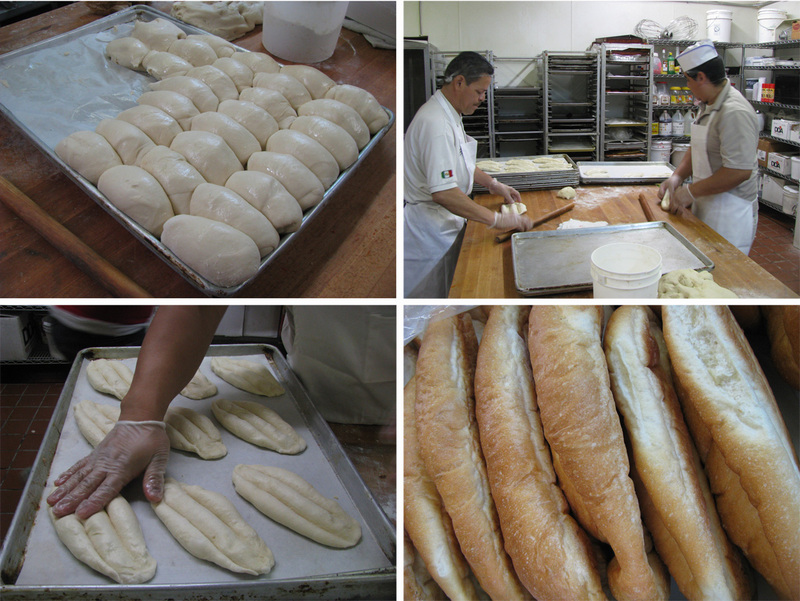 Otro Rollo bake an average of 500 telera a day as well as a huge array of other breads and cakes. Also for Cinco de Mayo we had a Taco Trucks Columbus meet up at Taco Nazo. 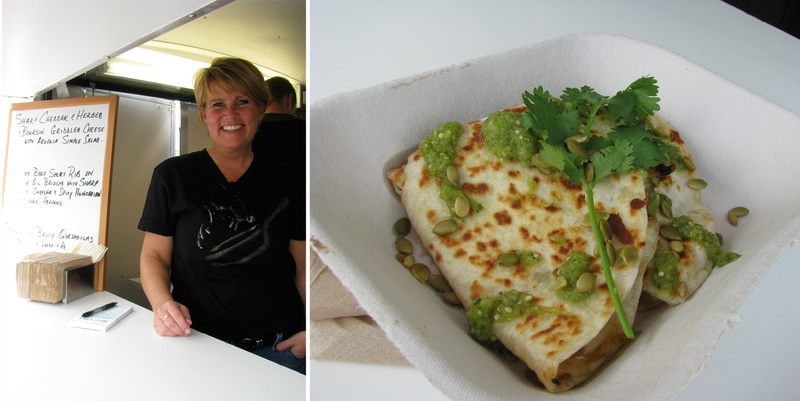 At the Rick Bayless book signing I asked Quicho if there were any Mexican foods associated with Cinco de Mayo. He offered to make some specials, including Pozole. 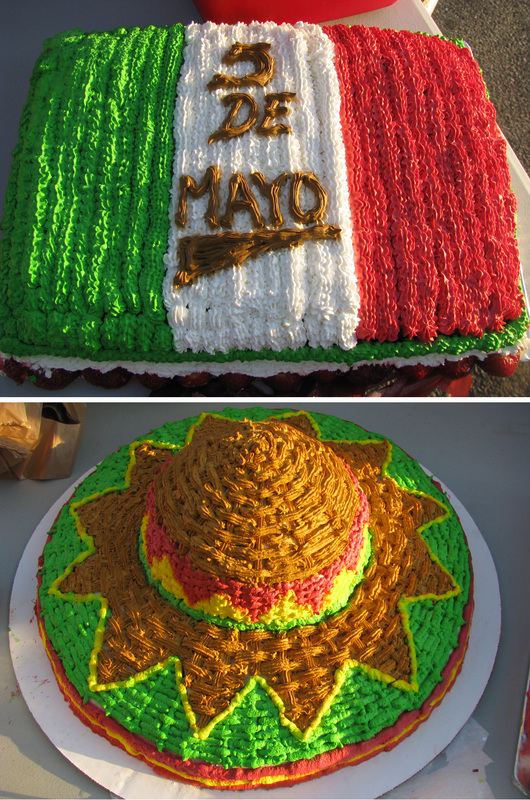 Taco Nazo knows how to put on a good spread and when we arrived they were decked out in red, white and green. 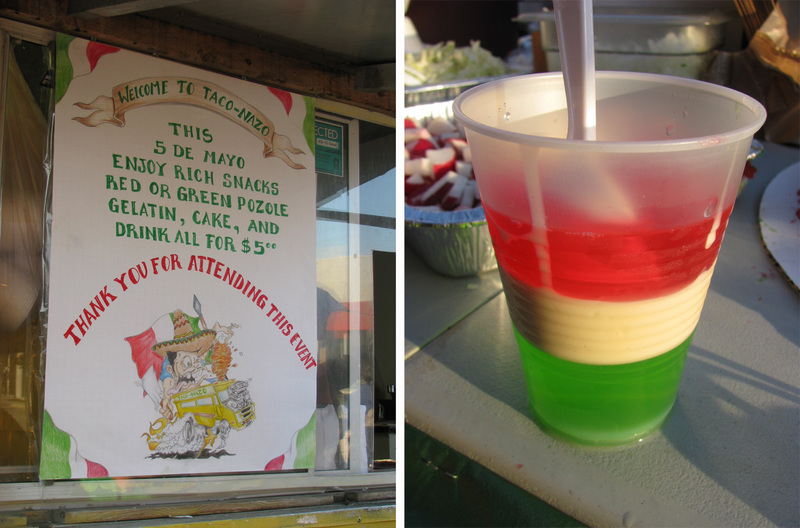 For $5 you could have pozole, Mexican flag-hued jello, cake and a beverage. 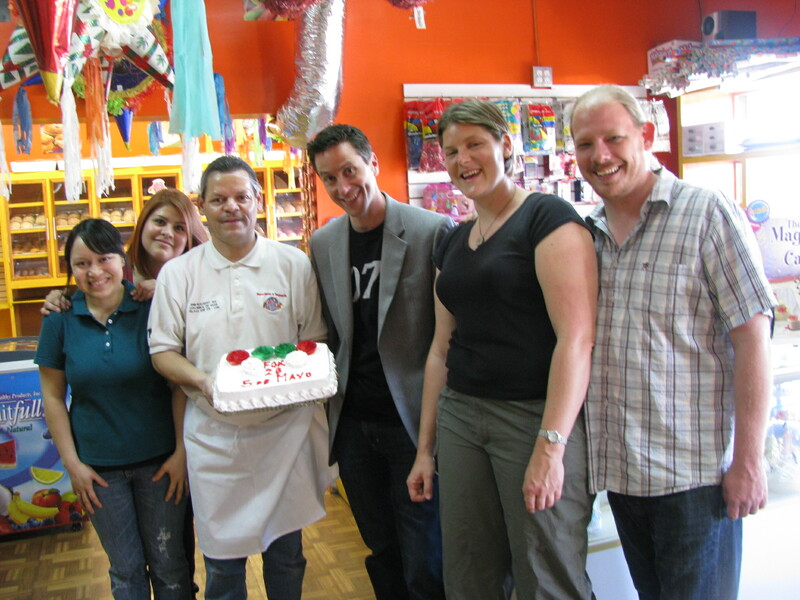 The cakes (also tres leches) were suitably festive and as usual, the work of one of Quicho’s employees, Bettina. It seemed a shame to cut them. The pozole was fantastic. 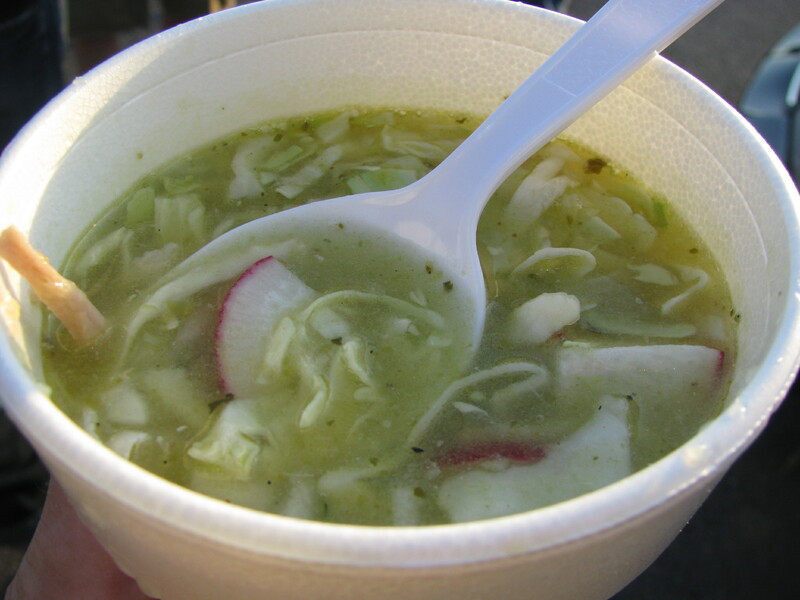 More of a stew than a soup, with plump tender hominy kernals and generous quantities of chicken and pork, it was served with chopped onion, cabbage and radishes to add as garnishes, as well as lime wedges. I tried both the red and the green and loved both. The red, made with chicken, had a mellow heat and slightly smoky. 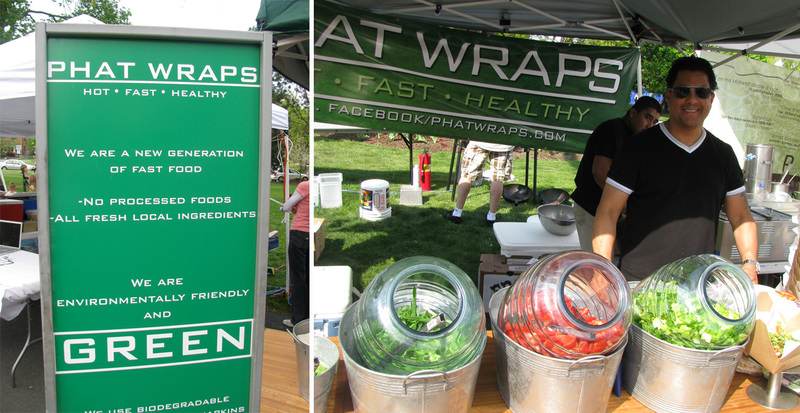 The green, made with pork and chicken, had more acidity but was very well balanced. 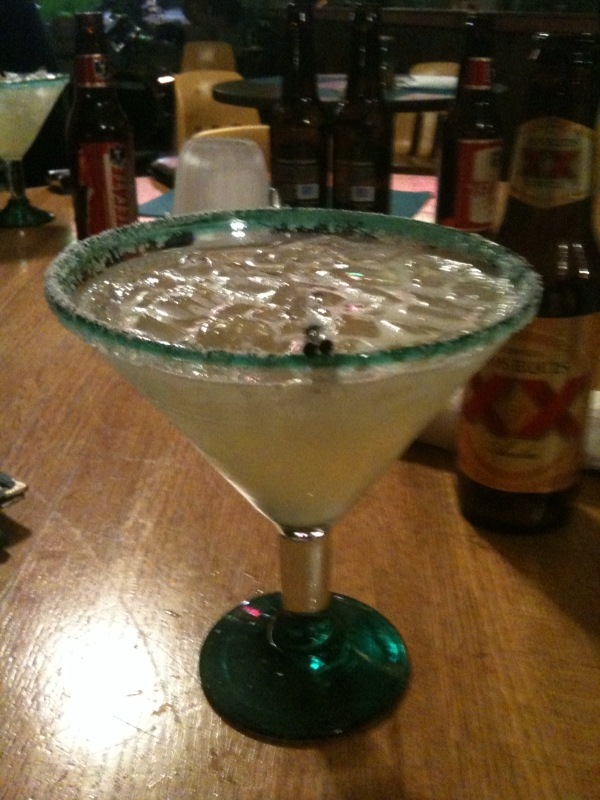 The evening ended with $3 house margaritas at Garcia’s on North High Street. I had not been there before but it’s a Columbus institution, having been open for over 30 years. The menu is a mix of Peruvian, Mexican and some Tex-Mex. The whole place had a surreal feel, only in part due to the 80’s karaoke. It was a fun, but very long Cinco de Mayo. Thanks to Ray for organizing the bike ride up to Taco Nazo.